Our organization aims to provide cost-effective surgical solutions that enhances clinical outcomes to the worldwide community. With this in mind, we invest heavily in team members, R&D, advanced technologies and manufacturing plants. 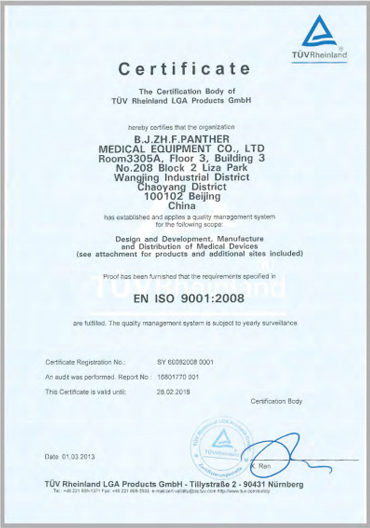 We are currently functioning with two production sites of nearly 6000 ㎡ in which we have a cleaning room built by 10k grade and managed by 100k grade (in line with environment management requirement for disposable sterile medical products). We also have a biological lab and our own sterilization center certified by ISO 11135. 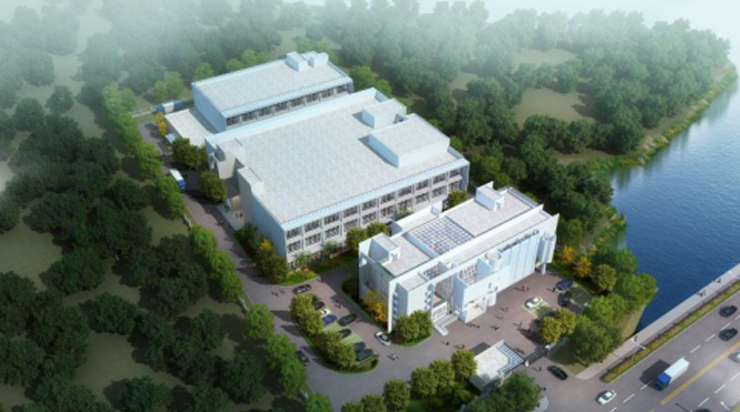 We are also constructing a new plant of over 20k ㎡ in Suzhou with a total investment of 180 million RMB. Its construction is projected to start from early 2019 and the new plant will be put into operation in Jan 2021. Our manufacturing strategy of vertical integration allows us to quickly and efficiently make product enhancements and develop new ones, reducing the time required for innovative ideas to positively impact clinical outcomes. Vertical integration also allows us to be more cost-effective, better manage supply lines, and ensure best product quality, availability and regulatory compliance. The main production equipment includes ultrasonic welding machine, ultrasonic cleaning machine, heat sealing machine, purified water preparation system, laser marking machine, laser welding machine, staple-filling machine, etc. The main inspection equipment includes image measuring instrument, electronic universal material testing machine, electronic peeling test machine, digital micro hardness tester, surgical blade sharpness tester, gas chromatograph and other advanced equipment. Testing, control and tracking guarantees quality: every single stapler has to pass a firing test before being placed to the market. Moreover, every single stapler and cartridge is photographed and stored for tracking, to ensure that every single staple has been correctly positioned. Panther Healthcare Sales, Marketing and R&D departments are always working together to get the best market feedback and to create innovative products and solutions which market really needs. Consisting of more than 30 engineers, Panther Healthcare R&D team focuses on the intellectual property rights, with more than 200 cases of intellectual property rights registered. It owns over 140 authorized patents and 103 other patent applications are under review. The R&D team is composed of 4 major project groups covering endo products, linear cutter staplers, hernia fixation, PPH, Endo Clip and other supporting groups such as Intellectual property rights, product maintenance, package design and design control. 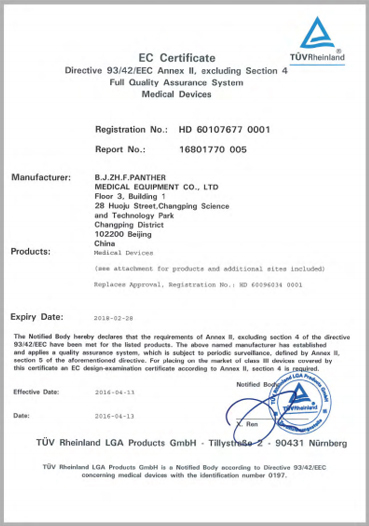 Every year medical device regulations around the world are raising the standard levels. Panther regulation team is composed of 8 managers. 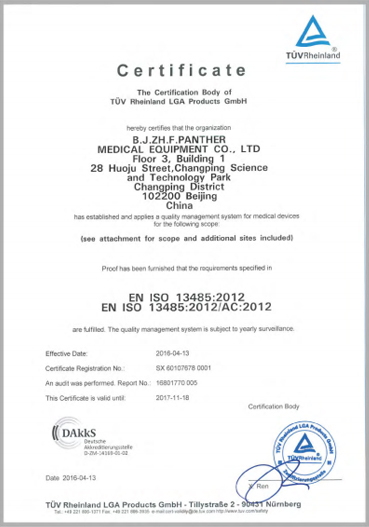 We have our own sterilization center of ETO certified by ISO 11135.